In 1814, Prince Emich Carl died and four years later, Princess Victoria married Prince Edward Augustus, Duke of Kent, the fourth son of King George III. A year earlier, Princess Charlotte, the only child of the Prince Regent (who would reign as King George IV, 1820-1830), passed away. Her death led to a succession crisis, Charlotte being the only legitimate offspring of all of King George III’s children. While Edward and his brothers had children, all of them were illegitimate who were barred from inheriting the throne. Thus, the royal brothers were forced to look for a legitimate wife. In 1819, Feodora joined her mother, now the Duchess of Kent, who moved to London with the duke to establish their household at Kensington Palace. The duchess was heavily pregnant already but her husband wanted their only child to be born on the British soil. And so, much to her inconvenience, the duke's will had to prevail. Feodora’s half-sister, Victoria, was born on May 24, 1819. A few months later the Duke of Kent died. While Feodora and Victoria were 12 years apart in age, they maintained a close relationship which lasted until Feodora's death. However, she was never happy in Kensington Palace and voiced her desire to leave. In fact, her "only happy time was driving out" with Victoria and her governess Baroness Louise Lehzen because she could "speak and look as she liked." 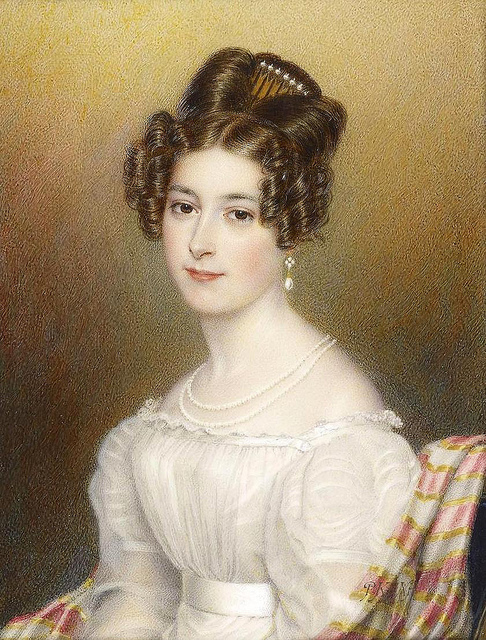 In early 1828, Feodora finally found the reason to leave Kensington Palace, after marrying Ernst I, Prince of Hohenlohe-Langenburg (1794–1860). They had only met twice before their wedding. After their honeymoon, they settled in Germany, in the prince’s family seat. Schloss Hohenlohe was huge but it was also uncomfortable and damped. Nevertheless, it was now home for Feodoro who lived there until death in 1872. The prince did not actually rule (the principality was mediatised to the Kingdom of Württemberg in 1806). The correspondence between Victoria and Feodora would go on and they sent letters to each other as frequently as possible. “I often think, when our children… are grown up and think back upon their happy childhood, how different their feelings will be from what ours are when we think back," Feodoroa once wrote to Victoria. "We both have not enjoyed a father's love." When Victoria succeeded to the throne, Feodora wrote: "Living but for your duty to your country, difficult as it is, will prove to you a source of happiness." The Queen would provide her sister an allowance (about £300) each time she told Victoria she wanted to visit England. Feodora and Ernst would have six children. All but one survived to reach adulthood. The eldest daughter Elise, succumbed to tuberculosis at the age of 19. Feodora and Victoria also endured the grief that widowhood brought almost at the same time. In 1860, Prince Ernst died and the following year, Prince Albert passed away. Victoria hoped Feodora would live with her in England but Feodora thought Victoria’s grief was too much to bear.